I knit, make jewelry and many times combine the two! 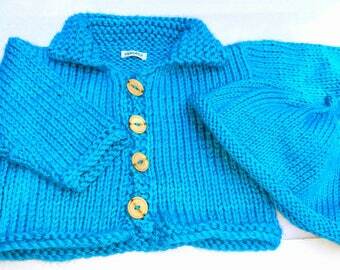 You will find one-of-a-kind pieces of knitted jewelry here as well as delightful handknitted baby items. Everything in my store was handmade by me. No one else but me. I can custom make anything you want in the colors you want. Feel free to contact me. Black Pumpkin Halloween Paper Earrings Black Crystals FREE SHIPPING! My shop started because I wanted to see if other people liked my work. I always received compliments about my knitting and jewelry. People were so surprised to find out that I was the artist/knitter behind the things I wore. I was constantly asked if I sold my wares. Believe it or not, I was a bit shy about selling my creations. Then I found Etsy. I felt this would be a great platform for this reticent knitter to sell her things. So here I am. Over the years I have combined my love for knitting with my love for beads. It's like an evolution of the two coming together. I am very proud of the earrings and bracelets I have knitted. They are one-of-a-kind pieces and garner compliments whenever they are worn. Enjoy browsing my shop. It is all handmade by me: the hipknitta. Welcome to my shop and thank you for taking the time to visit! My shop reflects my lifelong love of knitting and working with beads. Knitting is my life, my drug, my therapy, my yoga...you get the idea. I'm lost without a pair of needles in my hand. I want treat you the way I would want to be treated...as a valued customer. Please do not hesitate to make requests if you don't see what you want. Be part of the creative process with me!